"Family Gathering produces interest & Love"
First time In Rishikesh Krishna Holidays offering best deals and packages for families & Couples to celebrate their functions, events, parties and festivals with nature, peace and their happiness. In our campsite which is best known for its amazing beautiful location and surroundings gives you a pleasant stay so that you can make your function or holidays unforgettable. Below is complete details about the package. Check into the Deluxe Camp at Mohan Chatti (Rishikesh) with your own transport and then have Welcome Drink & Lunch latter join indoor games like Volleyball, Cricket and Badminton or along with this you may join swimming pool as well then join Bonfire with snacks and DJ Music celebrate your function in your own way and then have Dinner and then overnight stay at Camp. 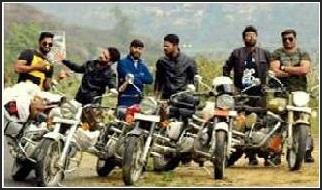 After Breakfast check out the camp and tour terminate. 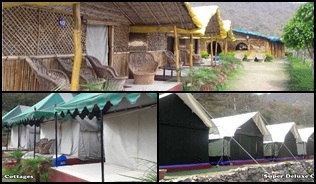 Deluxe Camp, Lunch, Snacks, Dinner, Breakfast, Volleyball, Cricket, Badminton, River trekking, Bonfire, DJ Night Music, Swiming Pool, Attached Toilets. This package is only for couples or family including Husband & Wife with 1 small Child (Child age should be less than 5 years). Breakfast:(7am to 8 am) Poori and Potato Veg, Bread toasts, Butter, Jam, Tea, Sauces and Pickles. Dinner:(Dinner 9 pm to 10 pm) a perfect balance diet consisting of 2 Vegetable dishes (Paneer, Daal, 1 Seasonal Veg, Rice, Chapati, Salad & Sweet after dinner. No Transportation is in this package. "You can not travel if you are afraid of the unknown; you travel for the unknown that reveals within yourself"
@camprishikesh Best places to enjoy your time with family. 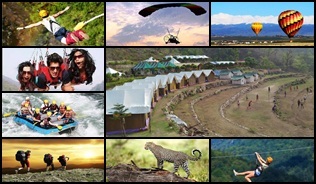 @camprishikesh Activities that complimentary for your time. @camprishikesh Safe camp for Children and kids. 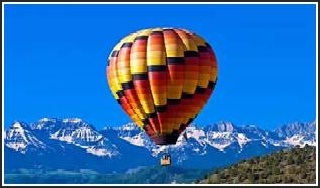 Krishna Holidays is the best name for your family trip organizes in Rishikesh. 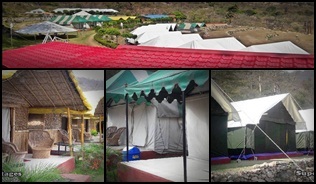 Our camp is on luxury standard providing you a step ahead form homely stay with best services. 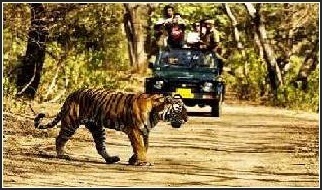 Along with camping you may enjoy Wildlife safari with your family.